Over the years, I have looked to this Bible verse many times. By nature, I am a strategist and a planner. I like to know how to best prepare for whatever life has to throw at me. Unfortunately, many of the plans that I have put into place have never come to pass. That is why I take great comfort in this verse because it basically says that while we have many ideas of our own, it is the Lord's purpose that will prevail in our lives. 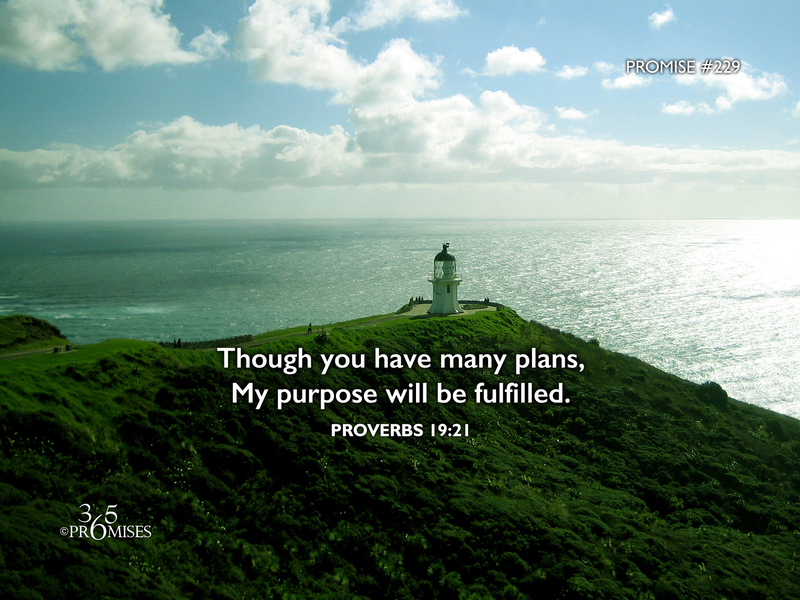 This promise gives a planner like me great comfort in knowing that God's purpose for my life will come to pass because of His faithfulness, not because of my planning! What a relief! The old saying 'hindsight is 20/20 vision' is so true. When I look back at my life, there are so many things that I 'planned' that didn't come to pass and I thank God that they didn't! So today, be encouraged that our God and Father has a plan for your life that will not be thwarted by anything! You can rest in His faithfulness to bring about His purpose for your life simply because He loves you!